Lanoe Hawker was born on December 30, 1890 to a distinguished military family. He was the son of the late Lieut. H. C. Hawker, R.N., of Home Croft, Longparish, Hants. He went to Stubbington House School and when he reached 11, he transferred to Royal Navy College in Dartmouth. His grades were poor even though he was very intelligent. Because of his low grades, he was unable to pursue a naval career. He later enrolled at the Royal Military Academy in Woolwich before joining the Royal Engineers. He showed great interest in mechanical and engineering development. In the summer of 1910 he became interested in aviation after he attended an aircraft display. He was born to a prestigious military family of the late Henry Colby Hawker and Julia Gordon Hawker. He had one brother named Tyrrel Hawker and 3 sisters namely Siola Dorothy Hawker, Slyvia Hawker and Salome Hawker. Lanoe Hawker never got a chance to get married as he died at an early age of 26. Lanoe Hawker was one of the British flying aces who won 7 victories during World War I. 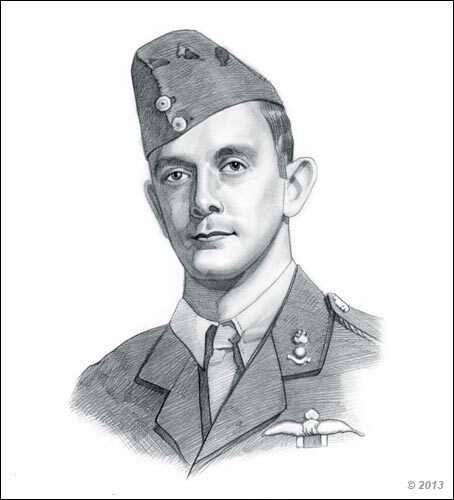 He was the first British flying ace during this war and the third pilot to be awarded the Victoria Cross. The prestigious Victoria Cross is given for the soldier’s bravery in facing the enemy. It can be given to both British and Commonwealth troops. 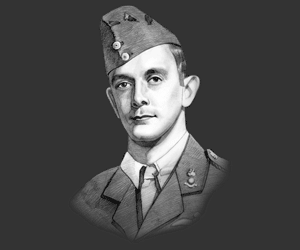 Hawker became a captain in October 1914; it was during this time that he was awarded the Distinguished Service Order for his bravery in attacking a German zeppelin at 200 feet. His inventive ideas were his great advantage, because of these abilities he was able to invent the Prideaux disintegrating link machine-gun belt which became standard standard equipment for the Vickers aircraft gun, and in a modified form still in use to day. He also started fitting a protective metal sheaf to the tips of wooden propeller blades, started the trend of wearing fur-lined thigh boots for flying and created a "rocking fuselage" for ground practice. In the early 1916, he was promoted as Major and was in command for his first fighter squadron. Because of the high level of flying incidents, new fighter pilots were understandably worried about flying the Airco DH.2. To ease the worries of these new fighter pilots, he flew the aircraft into a series of spins, successfully recovering every time. When he landed, he taught the pilots the correct way to safely recover from a spin. From then on, pilots were more confident in using the aircraft and make the most of it's performance. Flying under the leadership of Capt. J. O. Andrews on November 23, 1916, Hawker dove to attack a German aircraft. Andrew and Saundby helped him with his fight. Andrew attacked the German aircraft which was attacking Hawker but was hit in his engine and had to glided away. Saundby on the other hand covered Andrew’s exit. Hawker was having a long dogfight with Lieutenant Manfred von Richthofen who was flying an Albatros D.II. Hawker's DH-2’s performance was inferior to the Albatros that the German Ace was flying. It was faster and better armed. Hawker was trying hard to get back to the Allied lines before he ran out of fuel but a bullet hit the back of his head, killing him instantly. Hawker’s family left their belongings when they fled during the fall of France in 1940. They lost the original Victoria Cross; when they eventually returned to France they found that it had been stolen. Fortunately, they were issued a replacement which was given to Hawker’s brother on February 3, 1960. It can be viewed at the Royal Air Force Museum, Hendon. “Attack everything” was the prime operational order of Major Lanoe Hawker. Distinguished Service Order – In April 19, 1915, Lanoe Hawker successfully dropped bombs on a German airship from 200 feet directly above it. His cleverness in shielding himself against enemy fire won him this distinction. Victoria Cross – Due to his exceptional ability on July 25, 1915, he was able to succsessfully attack 3 German aircraft. The first aircraft was able to escape, the second crash landed while the third was attacked at 10,000 feet. Both its pilot and observer were killed. This picture of Lanoe Hawker is Copyright © June 2014 Siteseen Ltd. We only allow this picture to be used for printed non-commercial purposes and particularly encourage it's use for printed educational non-commercial purposes. This Lanoe Hawker picture is not in the Public Domain. 3) Use of this Lanoe Hawker picture, or any of our pictures on websites re-distributing copyright free material is strictly prohibited.